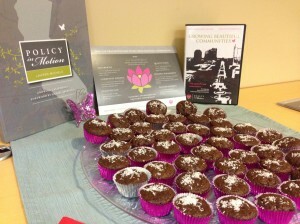 Official Cupcake Recipe of Policy in Motion! 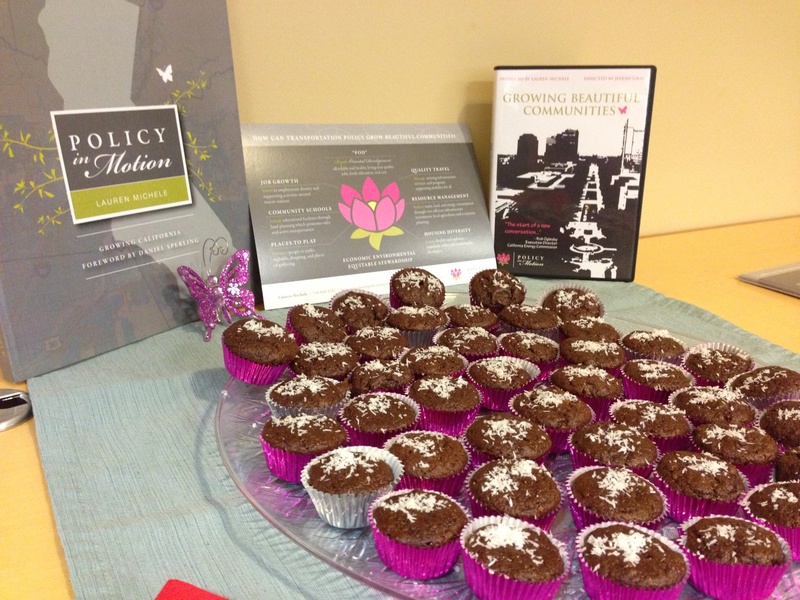 Policy in Motion’s specialty “mini-cupcakes” are starting to make a name as a key ingredient in sustainable transportation policy and stakeholder coalition building. Due to popular demand, I am releasing the secret recipe driving the vision for POD. For anyone who has gone to a workshop or meeting I have hosted, you have likely encountered one of these healthy and tasty “mini” treats (generally fresh out of the oven as I find baking to be an excellent way to prepare for work). While these may be gluten-free, vegan, and don’t require cane sugar, they are packed with sweetness! Made with healthy ingredients like carob powder, coconut oil, and coconut palm sugar, these treats are also packed with lots of vitamins and minerals for a healthy energy boost and immune system. These cupcakes serve as a reminder that we can also bake up communities that are so wonderful no one has to know they are “sustainable”– let’s make healthy and happy places for people to live, and not just for greenhouse gas reduction! Preheat oven to 325°F. Line 2 mini-cupcake tins with cupcake wrappers. Mix together the flour, potato starch, arrowroot, carob powder, coconut palm sugar, baking powder, baking soda, xanthan gum, and sea salt. Add the coconut oil, applesauce, vanilla, and hot water to the dry ingredients and stir until the batter is smooth. Using a rubber spatula, gently fold in the mini chocolate chips until they are evenly distributed. Scoop the batter into each prepared mini cupcake wrapper. Bake for 10-15 minutes, depending on fudgey preference. For extra fudgy, put the batter in the refrigerator overnight. Finished cupcakes will have firm edge with a soft center, and a toothpick inserted in the center will come out clean. Let cupcake stand for 10 minutes, top with coconut shavings, best to serve warm. Guaranteed to make all your meetings go smoothly and productively!